Estadio El Alcoraz will host Monday’s football game between Huesca and Athletic Club, the two teams who are determined to secure the La Liga survival. 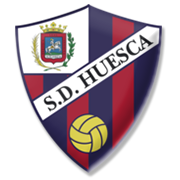 Huesca’s performances are better than their results, but they did well to beat Girona on the road in their last league match. 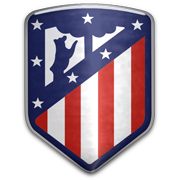 The rock-bottom side have been showing signs of improvement of late and we predict that they are going to stick to their attacking style of play against Athletic Club. The Lions, on the other hand, managed to hold Barcelona to a goalless draw at their San Mames Barria at the weekend, with the team quickly bouncing back from a 2-1 loss to Real Sociedad in the local derby. Both Huesca and Athletic Club are likely to go for a win in Monday’s clash and, taking everything into account, there is a big value in betting on both teams to score. Serdar Gurler is a Turkish international winger born in France, where he began his football career. Having spent six years moving through youth ranks at Sochaux, Gurler was given his competitive debut in 2010 in a league game against Saint-Etienne but eventually failed to make a mark in the boyhood club. A year into his three-year professional contract with Sochaux, Gurler was shipped out on a season-long spell to Samsunspor. It was in his country of descent that this attacking midfielder spent the majority of his professional career – playing for the likes of Trabzonspor, Kayseri Ercizesspor, Genclerbirligi and Osmanlispor. Capable of playing at both wings and as a support striker, Serdar Gurler is a versatile midfielder who is hoping to get another chance proving his worth in Europe’s top leagues. In the summer of 2018 he moved to newly promoted La Liga side Huesca where he will be given a better chance of making it back into the Turkey national team. Gurler went through all youth selections with Turkey and thus far only made a couple of caps for the senior side.